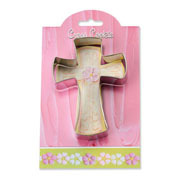 Celebrate Easter, Christmas and other Christian holidays with Ann Clark's Cross Cookie Cutter. 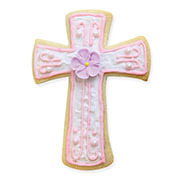 Bake cross cookies for your family or bring them to a church function. Made in the USA. These cookie cutters went to my friend in Wisconsin. She absolutely LOVED them! I don't know if she has used them yet, but I do know that she was thrilled to get them! Thanks for your speedy delivery and your great product! This was exactly the size I was looking for and great quality.